To investigate the effectiveness of surgical reduction in high-grade spondylolisthesis in maintaining or restoring a normal pelvic balance, as related to the QoL. 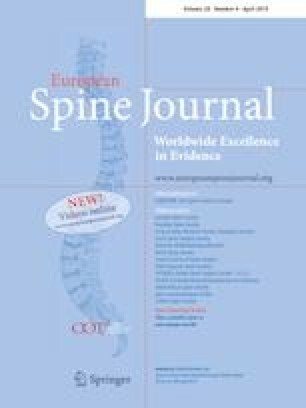 It is a retrospective analysis of prospectively collected data of 60 patients (17 males, 43 females) aged 15 ± 3.1 years who underwent surgery for high-grade spondylolisthesis and were followed for a minimum of 2 years after surgery. Patients with a residual high-grade slip following surgery were referred to the postoperative high-grade (PHG) group, while patients with a residual low-grade slip were referred to the postoperative low-grade (PLG) group. Pelvic balance was assessed from pelvic tilt and sacral slope, in order to identify patients with a balanced pelvis or unbalanced pelvis. The SRS-22 questionnaire was completed before surgery and at last follow-up. Postoperatively, there were 36 patients with a balanced pelvis and 24 patients with an unbalanced pelvis. The improvement in QoL was better in patients with a postoperative balanced pelvis. There were 14 patients in the PHG group and 46 patients in the PLG group. Four of seven patients (57%) in the PHG group and 21 of 26 patients (81%) in the PLG group with a preoperative balanced pelvis maintained a balanced pelvis postoperatively (P = 0.1). None of the patients in the PHG group and 11 of 20 patients (55%) in the PLG group improved from an unbalanced to a balanced pelvis postoperatively (P < 0.05). Surgical reduction in high- to low-grade slip is more effective in maintaining and restoring a normal pelvic balance postoperatively. The online version of this article ( https://doi.org/10.1007/s00586-019-05973-8) contains supplementary material, which is available to authorized users. This work was supported by a Standard Investigator Research Grant from the Scoliosis Research Society. This study is approved by Hospital’s Research Ethics Committee. J-M Mac-Thiong, H Labelle and S Parent are a co-founders, board members and shareholders of Spinologics Inc. J-M Mac-Thiong receives research support from Medtronic and Depuy-Synthes. S Parent receives research support from DePuy-Synthes. LG Lenke receives royalties from Medtronic and Quality Medical Publishing, is a consultant for Medtronic, and receives research support from EOS Imaging. DJ Sucato is a consultant from Globus.